DABOLIM: The Indian Navy on Thursday inducted three microlight Garud or Virus SW80 aircraft at naval air station INS Hansa to enhance surveillance on bird activities around Goa’s lone airport and naval air station. 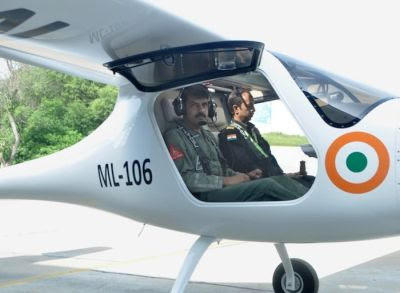 The microlight will augment existing preventive measures aimed at neutralising the bird menace which poses a potential hazard in civilian and military flying operations. Garud is a state-of-the-art aircraft and the first of its kind to have been inducted into Indian naval aviation. Designed and manufactured at Ajdovscuna, Slovania, the Microlight aircraft is a fixed wing aircraft having low weight, slow landing speed and short landing roll.